Elizabeth II, by the Grace of God of the United Kingdom of Great Britain and Northern Ireland and its Other Realms and Territories Queen, Head of the Commonwealth, Defender of the Faith. Thus is formally named the monarch and familiar global icon who this year celebrates 60 years on the throne, a stunning achievement any way one looks at it. You may call her Lizzy, for short; just not within hearing distance. 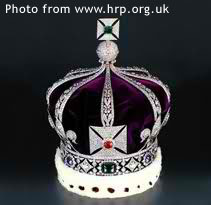 Otherwise, it is ‘Her Royal Highness’ or ‘Her Majesty’ as dictated by the styles and traditions of the British Monarchy. 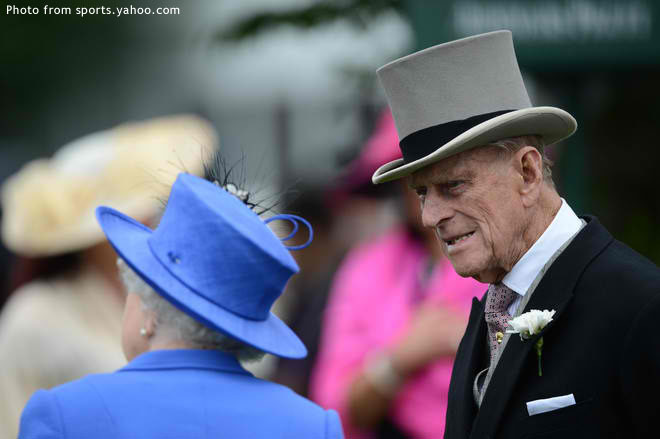 Now 86, she remains in a remarkably good state of health with her husband Prince Philip, the Duke of Edinburgh. The latter is four years her senior. Having now reigned for 60 years, Elizabeth II is just three years short of the record held by Queen Victoria (63 years) as the longest reigning UK Monarch in history. She continues to keep her eldest son Charles waiting to become King. Elizabeth II’s reign commenced in February of 1952 when her father, known by the regnal name of George VI, finally succumbed to failing health. In becoming Queen, she became after the Virgin Queen of England only the second named Elizabeth. Elizabeth II, as her medieval namesake, is Queen Regnant. Note the absence of the letter ‘P’ notwithstanding the fact that she bore Philip four children in Charles, Ann, Andrew and Edward. Instead, the term Queen Regnant means that she is the Reigning Queen or a Queen upon whom the powers of state are vested. In contrast, a Queen Consort is the title given to whomever a King marries and does not carry with it the powers of state. 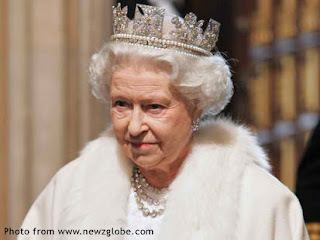 As Queen, Elizabeth II reigns; but she does not rule. At this point, we are allowed to scratch our pates because we Filipinos are republicans and the styles and traditions of a monarchy such as that in the UK are culturally alien to us. What the statement simply means is that Elizabeth II is the symbolic head of what is known as a limited or constitutional monarchy. The curiosity here is that, in being a constitutional monarchy, the UK in fact does not have a constitution. Instead, what is generally regarded as such is a series of rights and other documents earned by the subjects from the monarchy over the course of the nation’s history. The act of governance – i.e. ‘ruling’ – is left in the hands of her subjects and the Queen herself has no direct participation in it. However, acts of governance are performed ‘in the name of the Queen,’ which is an acknowledgement of her role as Head of State. Note that in republican governments such as ours – or the United States’ for that matter – the Head of State is frequently also the Chief Executive. Not so in the United Kingdom. While Elizabeth II is the Head of State, the title of Chief Executive goes to the Prime Minister, who is the head of Her Majesty’s government. It is a little known fact – or at least now it is – and especially after her lengthy reign that Elizabeth’s becoming Queen would not have happened were it not for the actions of a love-struck uncle. The selection of a King or Queen in the United Kingdom is done using a system of succession based on what is known as the ‘direct line.’ In layman’s terms, this system gives precedence to children of the monarch over those of other branches of the royal family. Inside the monarch’s household, male children take precedence over the females. Thus, the direct line traditionally goes through the first-born son and his would-be family. Because Elizabeth and her sister Margaret were George VI’s only children, the direct line of succession went through the former. However, the direct line was not George VI’s to pass on originally. 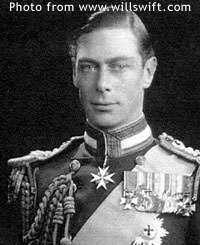 The man in possession was his eldest brother who was King for a few months in 1936 as Edward VIII. As luck would have it – for George VI, that is – Edward VIII proposed to marry a twice-divorced American socialite by the name of Wallis Simpson. This caused a crisis that had the Prime Minister and other members of the government threatening to resign their positions. As King, Edward VIII was also the titular head of the Church of England, which frowned upon the notion of divorcees remarrying while their former spouses were still alive. To make a long story short, Edward III abdicated – or stepped down from – the throne to pave the way for George VI to become King. His abdication also transferred the direct line to the latter, which was how Elizabeth II subsequently became Queen. So there you are! Quite a fascinating story, would you not say so? Any questions? If none, bring out a half-sheet of paper because we are having a quiz on the subject.